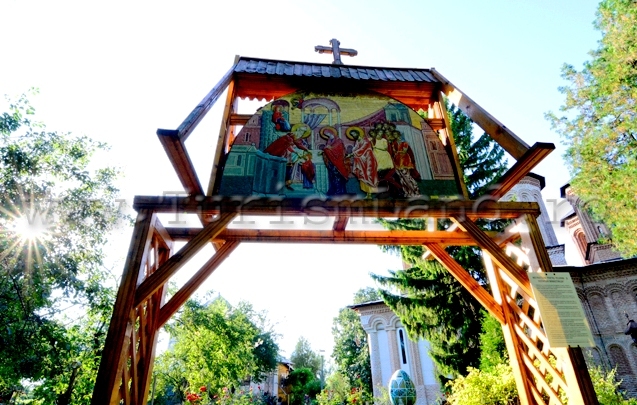 Hidden by woods and surrounded by the waters of the Lake Snagov, the Snagov Monastery was the most important spiritual and cultural centre of Wallachia in the feudal period. 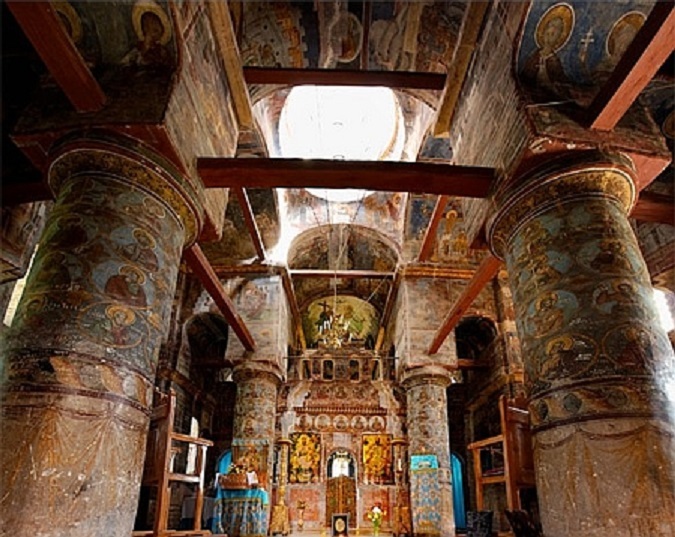 Built on an ancient place - where the archaeological finds have discovered clay pots of the Bronze Age and Iron Age, as well Roman and Byzantine coins - the monastery is one of the oldest monastic settlements in the vicinity of Bucharest. The first historical evidence dates back to 1408, but apparently there was a small chapel here, since the reign of Vladislav I (1364-1379). 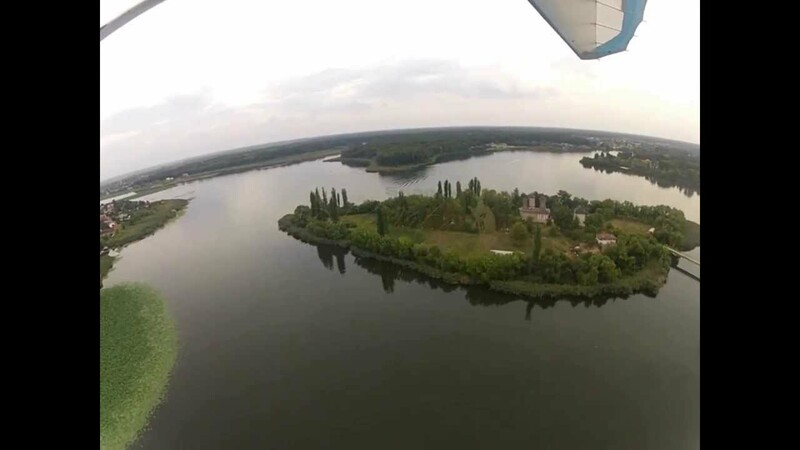 In 1456, Vlad Tepes decided, that in this isolated place surrounded by water and forests, to build a prison for traitors, a defensive wall, a bridge to connect the earth to the island and a underwater refuge tunnel. 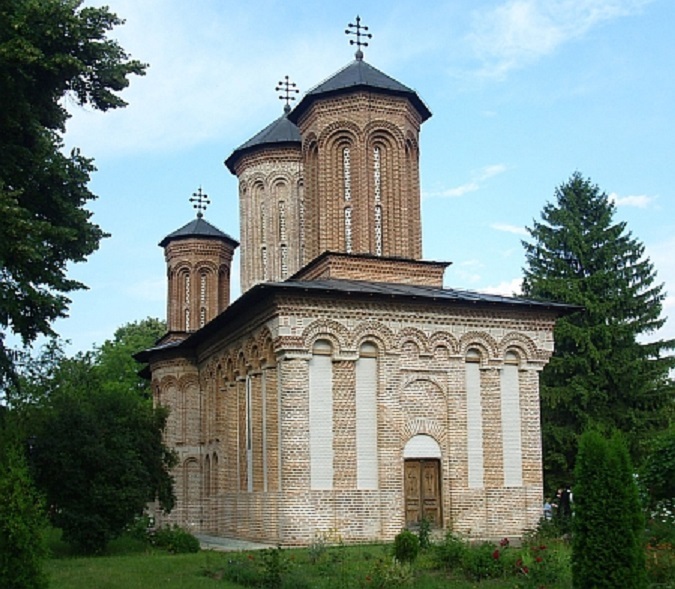 The church of the establishment was restored by Prince Neagoe Basarab in 1521. Built of brick in the Byzantine style, with four polygonal towers covered with tiles, like the rest of the roof, the church is among the most beautiful of its kind in the area. 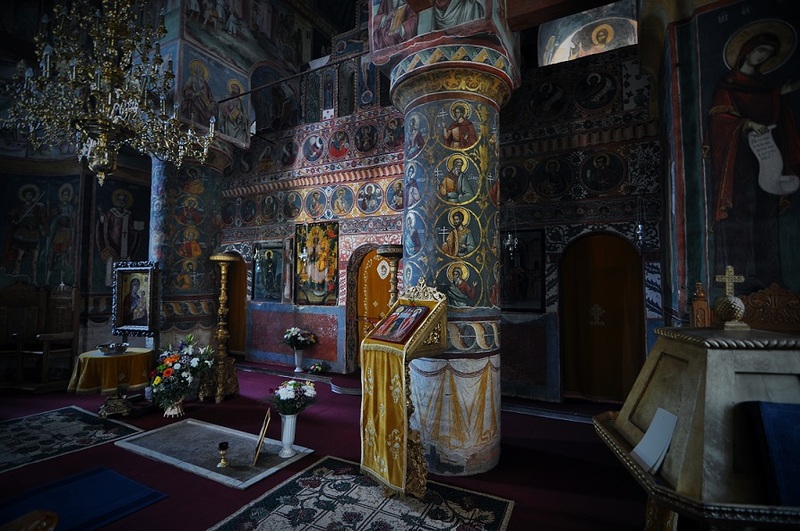 Inside the church is adorned by splendid frescoes of the fifteenth century, along with portraits of prominent personalities of the time such as St.Neagoe Basarab and his son Teodosie, Mircea Ciobanul with the whole family. 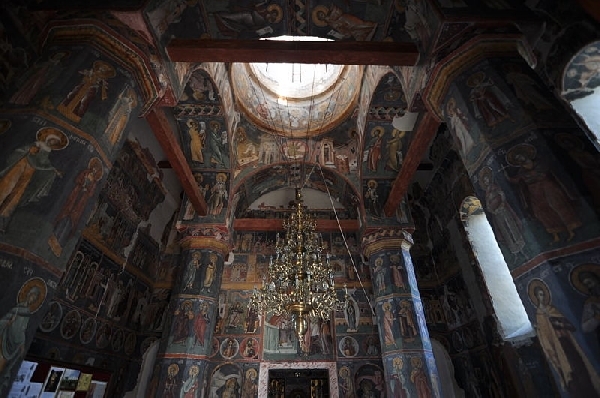 Although, over time, the frescoes have underwent many transformations and restorations, these make up the largest mural ensemble that is preserved in a church in Romania. The cultural value of the settlement increased in 1643, when the Ruler Matei Basarab endowed the settlement with a printing press. Here were printed books in Greek, Slavic, Arabic and Latin. If we were to establish the route of the places marked by the circumnavigation of Prince Vlad Tepes, we should start with Sighisoara, his birth place, make a stop at Bran Castle, descend to Poenari Citadel, then to the Royal Palace in Targoviste, and then reach the Princely Court in Bucharest and finally stop at Snagov Monastery, where it seems that the prince has found the eternal rest. 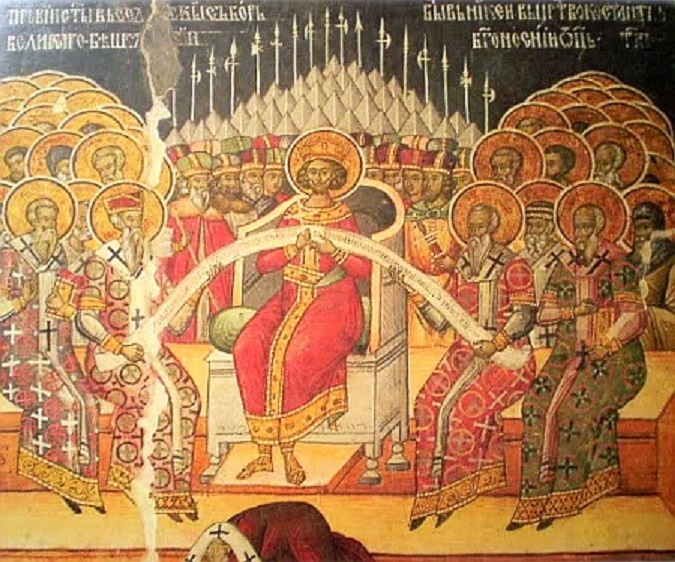 Some legends say that after the ruler was murdered in 1476 by the Wallachian boyars in the forest at Balteni, the monks of the monastery would have taken the body and bury it in secret in the church. 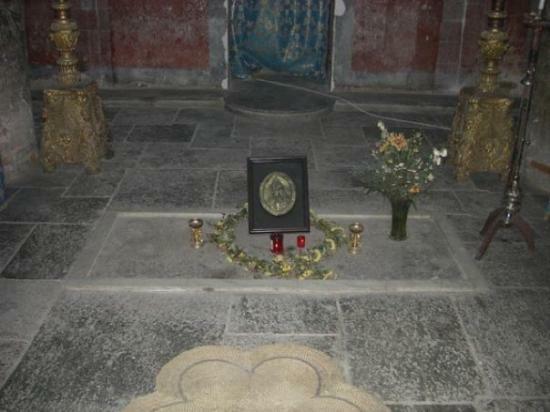 Inside the monastery there is a plaque showing that under a stone slab, right in front of the church altar, there is the grave of the great ruler. No matter if the grave of Vlad the Impaler is here or not, because the settlement is however full of history, culture and faith. 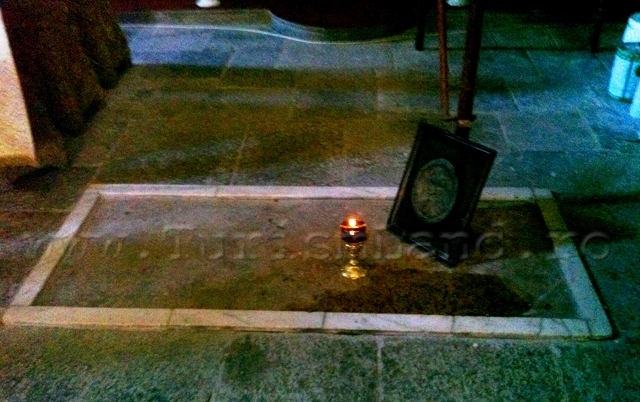 This place gives an oasis of tranquillity, joy and spiritual fulfilment for any current visitor or tourist passing by.